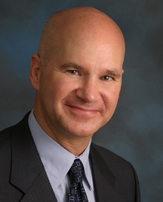 David R. Owens is a founding partner of Owens Tarabichi LLP and is resident in the San Jose & Santa Clara, California office. Mr. Owens’ practice includes intellectual property litigation; patent and trademark prosecution; strategic counseling for intellectual property portfolio development, acquisitions, and sale; due diligence evaluations of intellectual property assets; opinions of title, validity, and enforceability of intellectual property assets; clearance or freedom to operate opinions; negotiating business deals involving intellectual property; and drafting all types of business contracts, particularly those directed to intellectual property. Mr. Owens is a registered patent attorney whose practice includes intellectual property litigation, patent and trademark prosecution, providing intellectual property opinions and strategic counseling, and drafting and negotiating intellectual property agreements. He has litigated patent infringement and trade secret cases in both federal and state courts in fields such as electronic devices, software processes, polymer coatings, and semiconductor processes. He conducts patent prosecution and provides strategic patent portfolio counseling to prominent companies in various technical fields such as petroleum processing, energy production and use, environmental technologies, green technologies such as carbon dioxide sequestration and ethanol production from biomass, semiconductor processing, microfluidic chip technologies, polymers and coatings, pharmaceuticals, and others. Mr. Owens has also prosecuted patent appeals and reissue and reexamination applications including inter partes reexaminations. Mr. Owens also conducts trademark prosecution and provides strategic trademark filing advice. Mr. Owens provides intellectual property opinions addressing patentability, freedom to operate, infringement analysis, and trademark registerability. In addition to providing strategic counseling on the development and protection of intellectual property, Mr. Owens drafts and negotiates intellectual property agreements, including complex license agreements; joint development agreements; confidentiality agreements; employment agreements; Internet-based technology agreements; biotechnology agreements such as material transfer and clinical trial agreements; software agreements such as development, value added reseller (VAR), and end-user agreements; and settlement agreements. Prior to forming Owens Tarabichi LLP, Mr. Owens was a partner in the intellectual property group at Morgan, Lewis & Bockius LLP, a large general practice firm, and prior to that, he was a partner at Pennie & Edmonds LLP, a well-respected intellectual property boutique. He also served as in-house patent counsel for Electric Power Research Institute. Mr. Owens received his J.D. from Santa Clara University in 1995. Prior to that Mr. Owens worked as a research and development and field process engineer in the energy industry. He earned an M.S. in chemical engineering from the University of Texas in 1984 and a B.A. in chemistry from Gettysburg College in 1981. In addition to his admission to practice in California and in the U.S. District Court for the Northern District of California, Mr. Owens is also admitted to practice before the U.S. Patent and Trademark Office and the U.S. Court of Appeals for the Federal Circuit. Mr. Owens is a member of the American Bar Association, the Santa Clara County Bar Association and the American Intellectual Property Law Association. A coauthor of more than 25 technical publications, he is a regular guest lecturer on intellectual property law in the MBA programs at the University of California, Davis and at the Berkeley Haas School of Business. He also teaches an intellectual property law class for paralegals at the University of California, Berkeley. Represented Agilent Technologies and Avago Technologies in a trade secret misappropriation lawsuit involving FBAR sputtering technology, securing a dismissal of software-related trade secret misappropriation claims and obtaining a favorable settlement for Agilent and Avago. Represented Congoleum Corporation in a patent infringement lawsuit involved coated flooring substrates causing a withdrawal of the accused product from U.S. markets. Represented Con-Way Transportation Services in a patent infringement lawsuit involving package shipment and delivery notifications resulting in a favorable settlement for Con-Way. Represented defendants in a breach of contract lawsuit with counter claims for breach of contract related to funding for a research project resulting in a favorable settlement for defendants and a finding of contempt of court and an award of attorneys’ fees to defendants for plaintiffs’ failure to perform under the settlement agreement. Represented Congoleum Corporation in a patent infringement lawsuit regarding coated flooring substrates resulting in a settlement favorable to Congoleum. Represented defendants in a shareholder derivative lawsuit to dissolve the company resulting in settlement and survival of the company. Represented Defendant Casio Corporation in an action for false advertising regarding whether the advertised storage capacity of electronic devices resulting in a favorable settlement. Represented Brewer in a lawsuit regarding negligent airplane repair resulting in settlement. Represented InterTrust Technologies against Microsoft in a patent infringement lawsuit involving digital rights management resulting in a $440 million settlement for InterTrust. Represented Finisar Corporation in a patent infringement lawsuit regarding transceivers resulting in a favorable settlement. Represented Quality Semiconductor in a trade secret misappropriation lawsuit resulting in a settlement favorable to Quality.